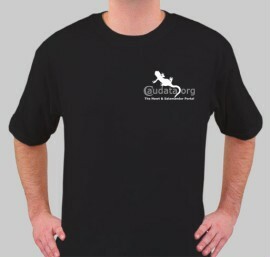 You can purchase T-shirts bearing the Caudata.org logo. But that's just the start of it. We also have sweatshirts, hoodies, a baseball jersey, mugs, a clock (oi! ), caps, bags and a magnet for your fridge. Personally, I'm a fan of the Lime Green T-Shirt! You can buy items from all three stores in the same order, within combined shipping. We simply use different store fronts for managerial purposes. Please note that the prices reflect a 15-30% profit for Caudata.org, the rest, including the shipping fee, goes to Cafepress.com. If you have a request for a particular type of item that doesn't appear (black T-Shirt with a silver axolotl face on it, for example), please get in touch via the contact form.